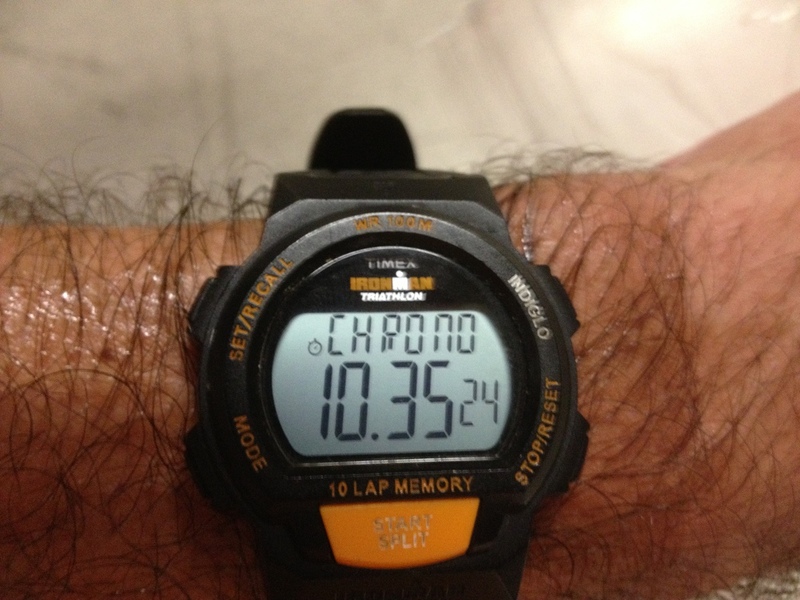 It’s summer, and time to start practice for the U.S. Bank Tower stair climb in September. This year, the YMCA people arranged for us to practice in the Wilshire-Figueroa building downtown. This is the same building where they hold the Cystic Fibrosis stair climb in December. It’s a nice stairway. 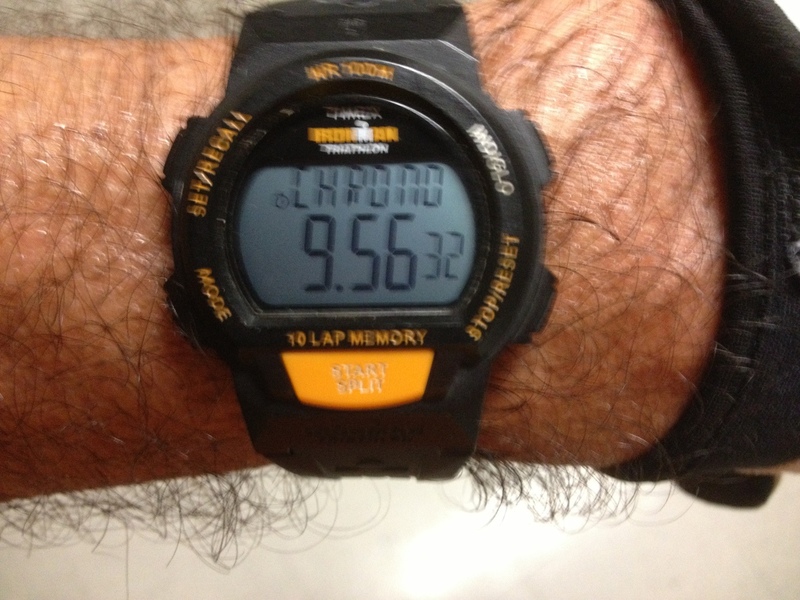 51 stories, 1,181 steps to the 51st floor. Of course, I made a chart of it. The practice sessions are on Monday and Wednesday evenings, from 6 to 7:30. I took the train there, walked to the building, signed the waivers, and then I was ready to go. Ready to go, that is, aside from the feeling of dread one gets before walking up the stairs for more than 50 stories. For some reason, the feeling of dread was stronger tonight than usual. So I decided to take it easy for this first time out. I figured I’d do a moderate pace, and maybe be able to do five climbs, which would add up to a vertical kilometer. 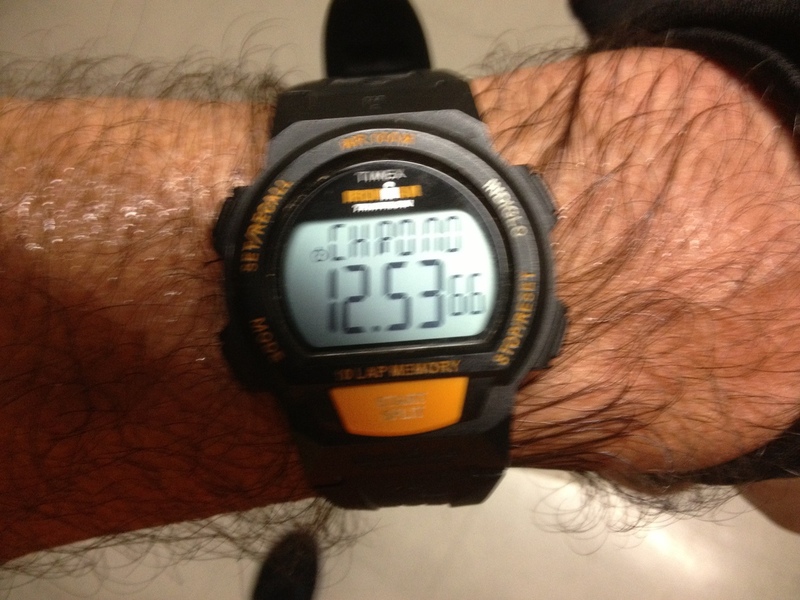 I did a vertical kilometer in practice at the Aon building last winter. 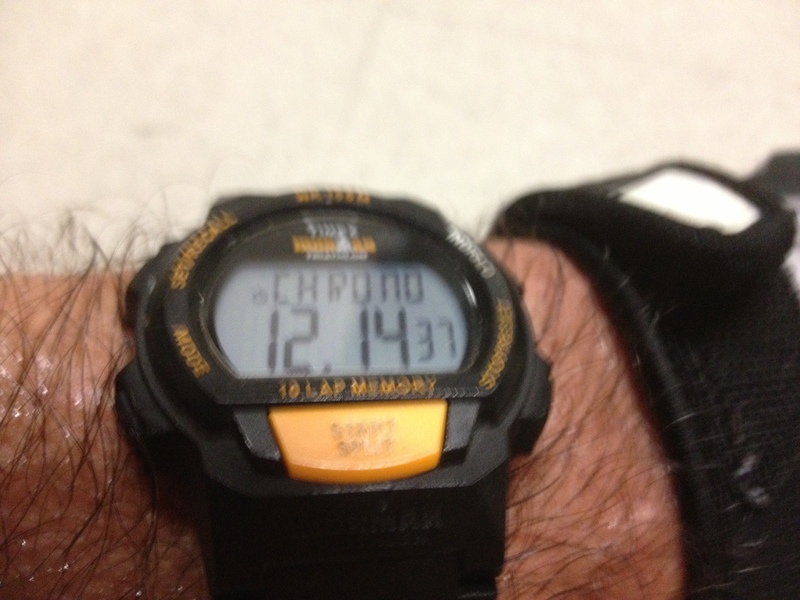 So even though the practice time is an hour and a half instead of two hours, I thought it was possible. The first three were pretty easy. I started to slow down noticeably on the fourth climb. They had said that they would close the door at 7:10, so I had to start my final climb before then. But when I started the fourth, it was only 6:45, so I knew I’d be able to get in five. I got in the stairwell at 7:05 for my final climb. As could be expected, the fifth time up was a bit of an ordeal. But I made it. Afterward, I changed into a dry shirt for the ride home. I didn’t have any place to change pants, though. So I just put my shorts on over my sweat-soaked running shorts. On the train home, I sat on the floor, since I didn’t want to make a wet sweat spot on the cloth seats on the trains. 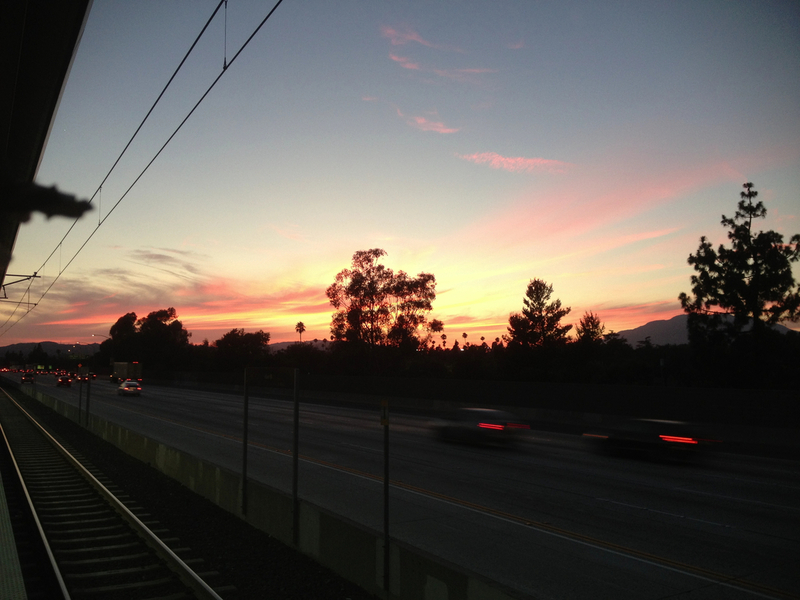 And when I got off the train in Pasadena, I was treated to a view of a very nice sunset. 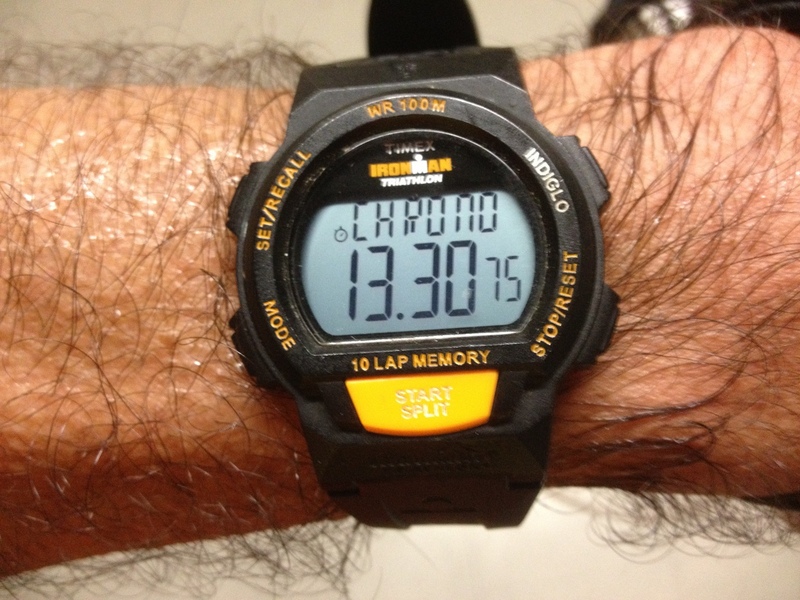 The final tally was five ascents, 255 floors, 5,905 steps, 3,445 feet, 1,050 meters. Yikes. Of course, I’ll be back on Monday to do it again.